and acknowledgments Self-organized criticality is a new way of viewing nature. The basic picture is one where nature is perpetually out of balance, but organized in a poised state-the critical state-where anything can happen within well-defined statistical laws. The aim of the science of self-organized criticality is to yield insight into the fundamental question of why nature is complex, not simple, as the laws of physics imply. Self-organized criticality explains some ubiquitous patterns existing in nature that we view as complex. Fractal structure and catastrophic events are among those regularities. Applications range from the study of pulsars and black holes to earthquakes and the evolution of life. One intriguing conse- quence of the theory is that catastrophes can occur for no reason whatsoever. Mass extinctions may take place without any external triggering mechanism such as a volcanic eruption or a meteorite hitting the earth (although the the- ory of course cannot rule out that this has in fact occurred). xu How Nature Works Since we first proposed the idea in 1987, more than 2, ooo papers have been written on self-organized criticality, making ours the most cited paper in physics during that period. 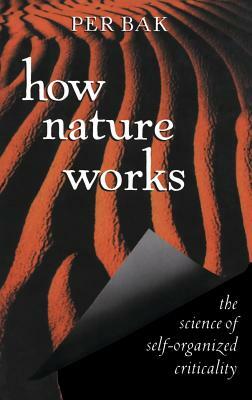 How Nature Works is the first book to deal with the subject. The basic idea is simple, and most of the mathematical models that have been used in the implementation of the theory are not complicated.